The snow fell and blanketed the ground as we began this lovely maternity session inside the warmth of their home. Though chilly and windy outside we knew that we had to take advantage of the beautiful scene the snow had created for us. It was certainly worth a few chilly fingers on my part and Mom did just fine! 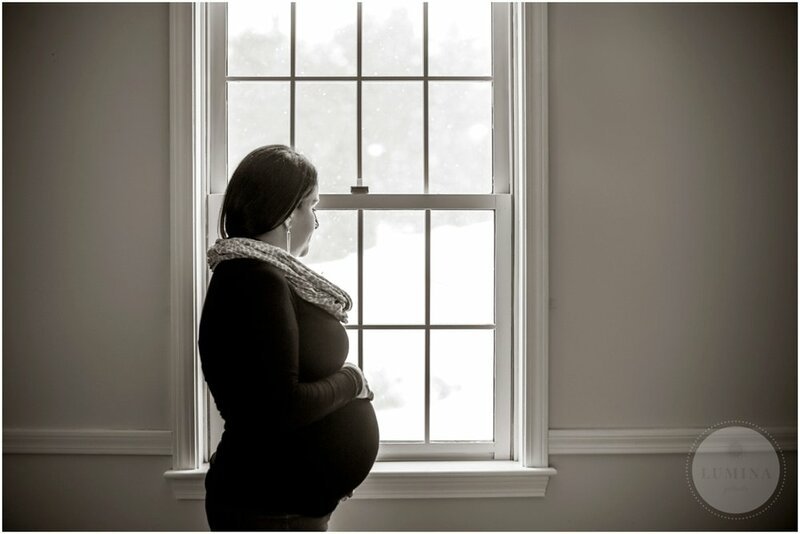 Don't let the winter months intimidate if you are thinking about maternity portraits. I can always find a beautiful space in your home complete with dreamy light to create stunning portraits of you during this time in your life. Of course, you can see the sweet baby boy this family welcomed right here! 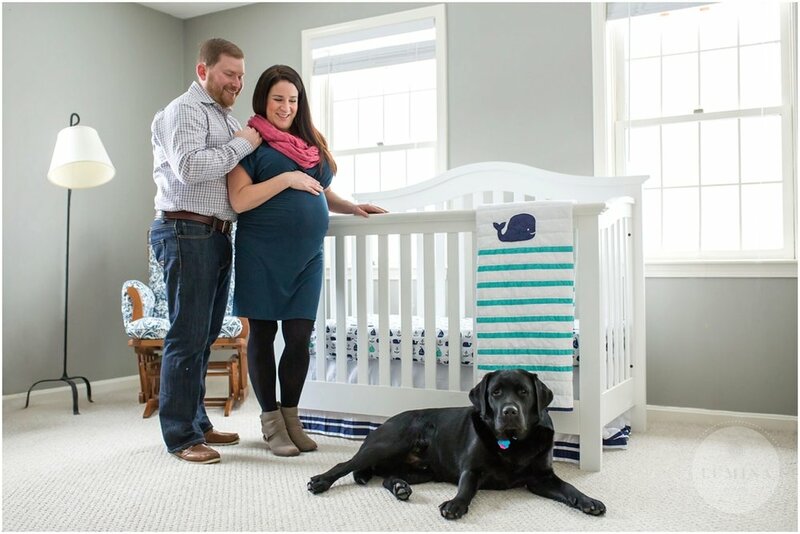 Kelli Wholey with Lumina is a Bedford, NH maternity and newborn Portrait Photographer located in Nashua, NH.